Not something I’ve tried myself yet, but certainly an option I might find useful or necessary in the future. Victoria from Oxford has been in touch to warn us that the DfT are currently consulting on proposed changes to the Electrically Assisted Pedal Cycle Regulations 1983 to harmonise the UK and European legislation. 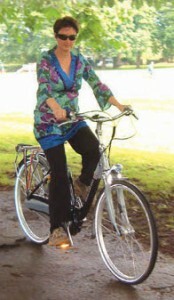 This entry was posted in Inclusive Cycling Forum and tagged bikes, disability, electric, legislation, mobility, words on Thu 25 Mar 2010 by kevin hickman.